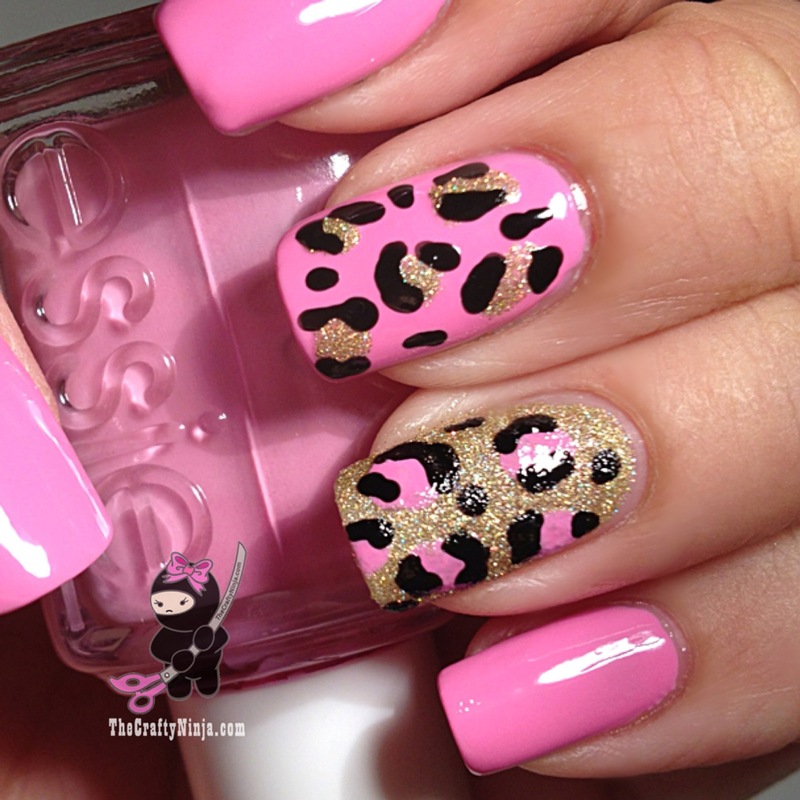 Leopard print nails are one of the most popular nail designs. Its simple and pretty. The nail polishes I used are Essie Cascade Cool, such a perfect Pink, China Glaze Liquid Leather, and China Glaze Angel Wings, such a pretty gold holographic glitter. For the stars I glued them on with nail glue. Check out my bow tutorial here.